Last weekend, the skies cleared up and a little wind swell pulsed into Surf City for the latest NSSA showdown. In the end, it turned out to be a San Clemente dog fight at the NSSA Southwest Conference competition at Ninth Street in Huntington Beach. 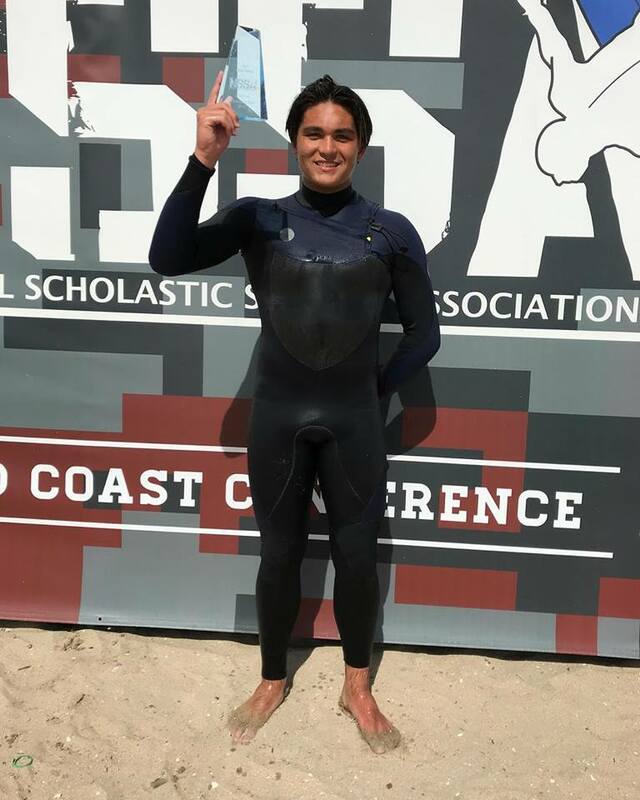 Held in tricky waist- to chest-high conditions with a heavy dose of afternoon west winds, Reef Tsutsui came away with a nail-biting win over San Clemente compadre Crosby Colapinto. The final score: 10.67 to 10.50. Tsutsui took the win by not even two tenths of a point. It was his first win in the NSSA Southwest Open Men’s division. Overall, it was a great weekend for the local talent as our up-and-coming surfers chalked up big results throughout a number of divisions. Dana Point’s Bethany Zelasko took first in the Open Women’s division, while Bella Kenworthy finished runner-up in the Open Girls and Open Super Girls. For the boys, in the Open Juniors, Hagan Johnson locked in a runner-up finish of his own, while Hayden Rodgers and Charlie Stevens also came away with podium finishes in their respective divisions.